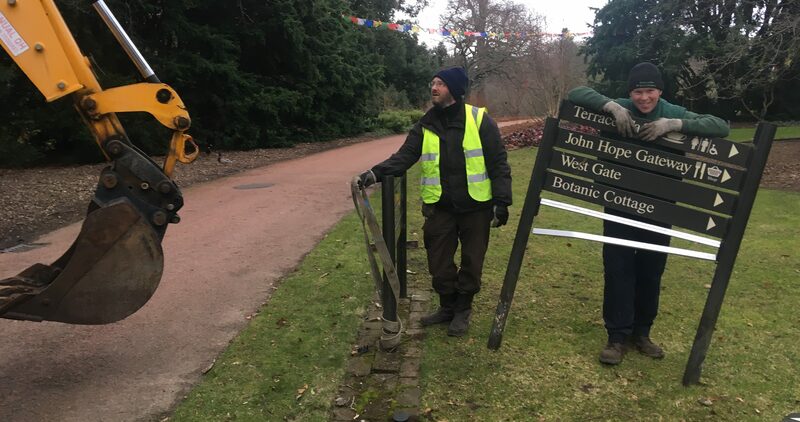 The installation of new welcome and navigation signage for the Edinburgh Garden starts on Wednesday 21 March and will continue for a couple of weeks. You may have noticed in some areas of the Garden that the brown direction signs have already been removed – we are monitoring the situation with regard to our visitors and will place temporary signage if/where necessary but if you see anyone looking lost in the meantime please help them out. The new signs implement a unified approach to wayfinding in the garden and will improve the visitor experience whilst not distracting from the plants.